Bit of automotive optometry today; New to me passenger side headlight bowls. 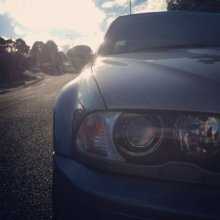 (Others had been marred by water and dirt from leaky seal) and new headlight weather strips, both sides on the E46. Took the opportunity to give all the surrounds a good clean up while passenger side was apart too. 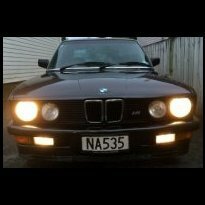 Well i'll be damned... looks like its ~$75NZD cheaper AND i can get everything i need (apart from the Porsche diff washers ) AND saving heaps on import charges Thanks heaps for that Zero. That's the Roll Over Protection System/seatbelt mounts that verts come with. New forum theme is far too dark. Whilst thats good news, why has it taken this long? Especially when people have offered to help for free? There was one going at 35k last year some time but it didn't stay up for long! Same colour as this, would have been a good buy for sure. That's the cheapest I've seen. I'd pick one over an E46 M3 for the uniqueness. 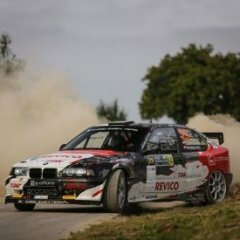 Co-drove at the Arcadia Rd rallysprint mid-Feb. Great fun to be had, can't wait to start driving at these types of events. Also, got my hands on a 4.44 LSD, fitted a Powerflex bush and then fitted it to the compact. It's only a factory 25% lock, but man, driving the car when it's wet is FUNNNNN. It definitely has more grip on take-off than the locker, but is still very predictable when oversteering. Can't wait for the next autocross to give it a proper go! Next step will be to remove all the glue from the ceiling, remove the sound deadening, buy some seats and harnesses and get a roll-cage in there. I'm surprised you even managed to find that many useable parts after that smash. Yeah, I spent about the same amount as what the MBI is for this car. Hindsight i probably should have just waited for the guides to fail but my OCD got the better of me...I do love a bit of preventative maintenance. 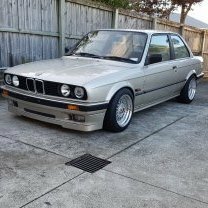 Yeah, was abit of a silver lining being forced to daily the E30 Catch up soon. When I was in the UK, we lived about 3 miles from Deighton Hills Shooting School. Been there forever. You'd hear occasional pops from the school, but nothing else. Over time people moved in and complained. and complained. And as house prices went up, the complainers became more influential. Didn't quite get to the point where the school was closed, but it cost Mike Reynolds (former British Olympic shooter) a fortune in sound reduction stuff. Yeah, nah. Tell him he's dreaming! 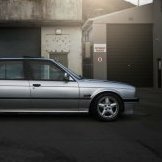 Nice car, but.... not a lot of love for the old E36 Auto in the market, even if it is a one owner 328i M-Sport. Personally I think it is looking at $9k being a good price, not $19k.